Patellar tendinopathy is an injury to the tendon connecting your kneecap (patella) to your shin bone. This tendon originates from the muscles of the front of your thigh (quadriceps) and works to extend your knee – allowing you to walk, run, jump, and perform countless other activities. There are two forms of patellar tendinopathy which include patellar tendinitis (inflammation of the tendon) and patellar tendinosis (chronic tendinitis without inflammation). Knee pain is the second most common cause of chronic pain in the United States only to be surpassed by chronic back pain. Nearly 1/3 of all Americans report suffering from knee pain at some point throughout their life. Between 15-20% of males and just over 20% of females currently, experience knee pain. The most common sports injury to the knee is patellar tendinopathy. The first symptom of patellar tendinopathy is usually pain. Unfortunately, our body does not let us know that there is stress and strain being placed on the tendon until it starts sending pain signals to the brain. 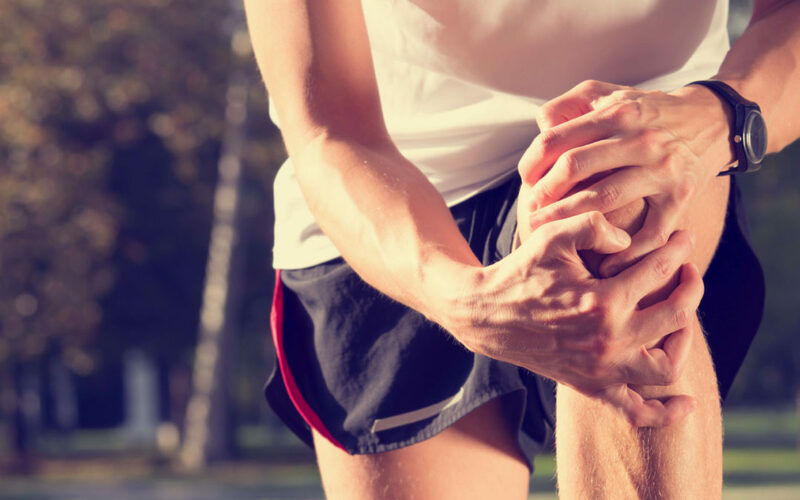 Pain can be located anywhere along the length of the patellar tendon between the kneecap and shinbone. The initial symptom is typically pain only during physical activity or immediately after exercise. Many people choose to ignore this early pain and assume that with rest the injury will get better. However, the injury typically progresses with time. As the injury worsens it may begin to interfere with your ability to perform an activity or sport-specific activities. Eventually, pain is felt at rest with the knee bent for prolonged periods of time such as while driving or working at a computer. Another telltale sign is pain while going up or down stairs, especially while descending stairs. The most common cause of patellar tendinopathy is repetitive overuse. You may wonder: How come some people can perform the same activities and one person develops patellar tendinopathy and the other does not? This is because the caveat to the repetitive overuse explanation is that it is usually repetitive overuse with improper technique or poor biomechanics of the lower extremities. Doing movements over-and-over is usually not a problem if an individual has the prerequisite strength and mobility in areas where it is necessary. One of my favorite rehab phrases is that “the knee is a slave to the hip and the ankle“. The knee joint is a relatively simple hinge joint with a functional range of motion only happening in flexion and extension. 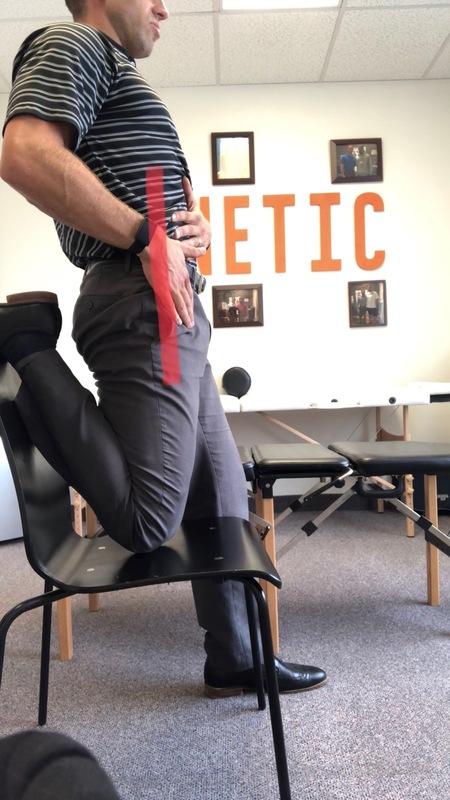 In order for an abnormal strain to be placed on the knee in a repetitive fashion, there needs to be something happening to cause this at either the hip or the ankle. The vast majority of the time it is either lack of ankle mobility or lack of stability from the hips/glutes. If either of these are lacking the knee has to “cheat” into the lateral plane of movement causing a stretching and increased strain being placed on the patellar tendon. This repetitive stress causes small tears in the tendon which your body attempts to heal with fibrosis or scar tissue – further negatively affecting movement and perpetuating the injury cycle. Inflammation is often associated in the early stages (tendinitis) and after a few weeks the chronic stage (tendinosis) often sets-in which involve slack of blood flow, oxygen, and nutrients to the tendon further inhibiting the healing process. Highly repetitive physical activity that involves bending of the knee and use of the thigh muscles such as running, jumping, and squatting. Excessive weight can place an increased load on the knee joint and tendon. Tight thigh muscles – especially in the quadriceps – can place increased stress on the patellar tendon. Muscular imbalances can cause some muscles to pull harder than others in your legs, leading to increased stress on the patellar tendon. Typically, most people are more “quad dominant” with tighter/stronger muscles in the front of their legs and weaker muscles in the posterior chain (back of their legs). Chronic illnesses (kidney failure, arthritis, diabetes) can disrupt blood flow to the knee which weakens the tendon. If you begin to notice pain in the tendon below your kneecap it is best to seek a qualified professional for treatment as soon as possible. Often times the injury only continues and gets worse if left ignored. Treatment will usually involve addressing the factors previously discussed. If seeing a sports injury physician this will likely include a biomechanical assessment to determine the cause of patellar tendinopathy, soft tissue treatment to alleviate symptoms, and corrective exercises/stretches for quicker rehabilitation and prevention of re-injury. Additionally, if the injury is in the early stages icing may be prescribed to calm inflammation. The best things an individual can do at-home beyond ice and decreasing activity is to stretch the quadriceps muscles and calves to relieve tension on the patellar tendon and ensure proper ankle mobility as well as strengthen the glutes and posterior chain. Furthermore, correcting technique with movement is crucial for both alleviating pain and preventing future injury. Have a Reoccurring Injury? Schedule with Dr. Lindholm!